I had the pleasure to work with lovely Carla. 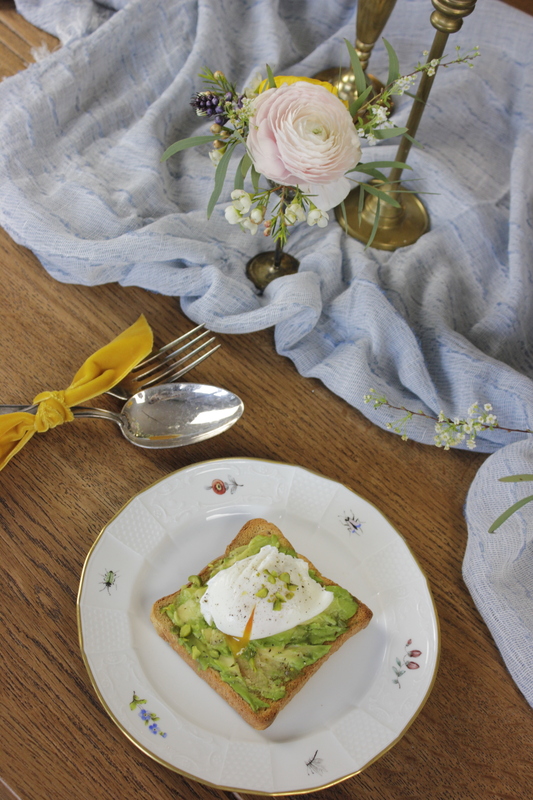 We wanted to share some food inspiration and how to decorate a lovely spring table. Spring has finally arrived and I could not be happier about that fact. 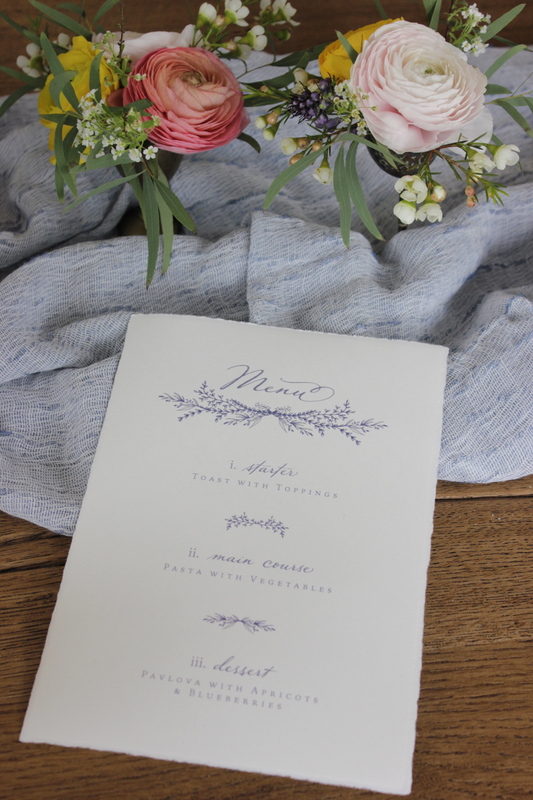 Now let’s have a look at the MENU and the beautiful floral decorations. 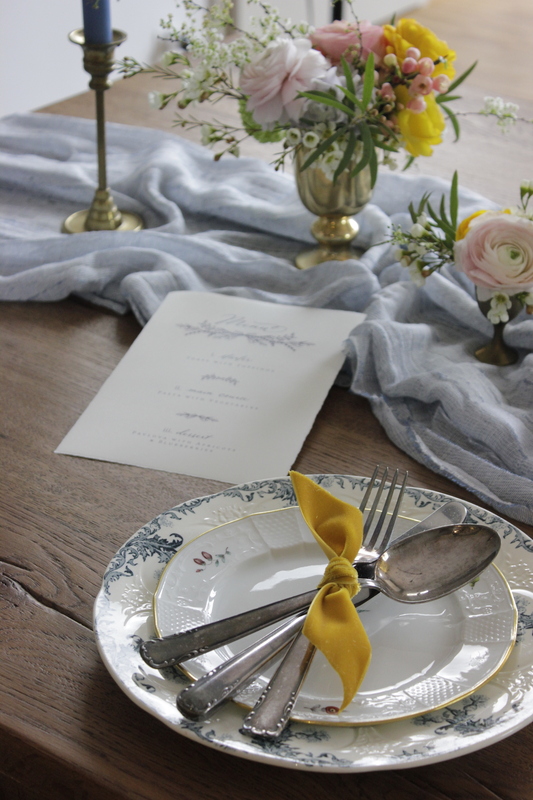 We have decided on a simple but very delicious spring MENU including a starter, main course and dessert. All the dishes are vegetarian and made out of fresh ingredients. 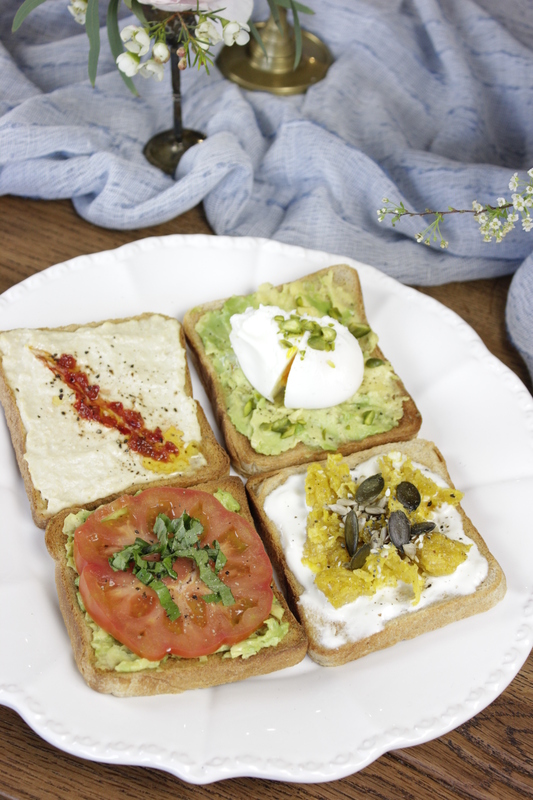 Simple toast with colorful toppings. Something super easy to prepare and arrange. 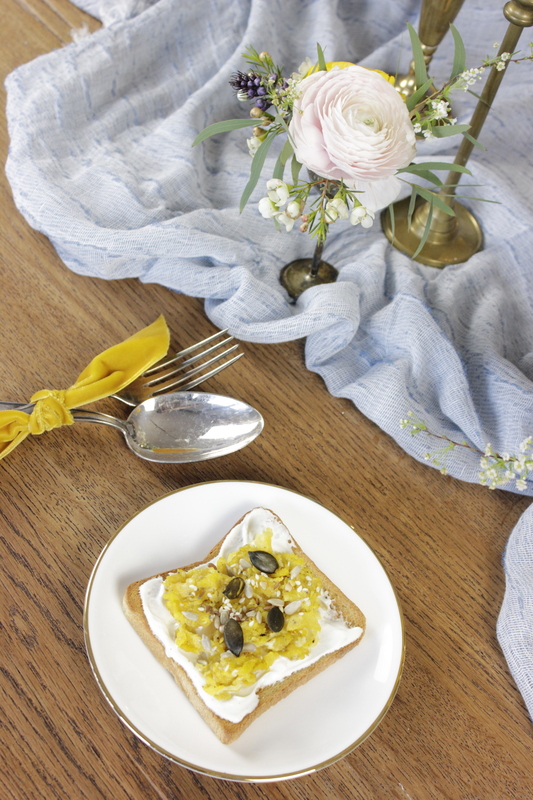 Sour cream with scrambled eggs and sesame and pumpkin seeds. 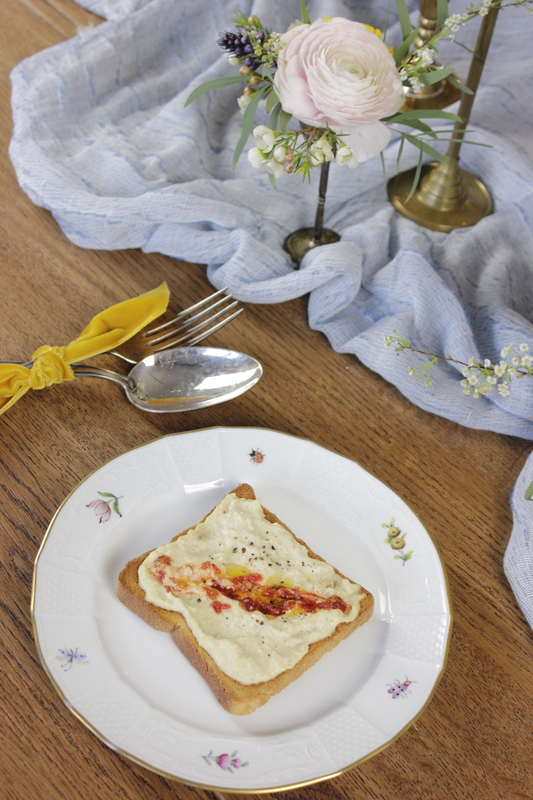 Cover the toast with sour cream and prepare a scrambled egg and season with salt and pepper. Top off with the seeds. For this one you need an avocado, egg and some pistachio. Boil water and lightly season with salt and add a splash of white vinegar. Then use a spoon and make a whirl in the pan and then crack the egg in. Use the spoon to spin some of the egg white around the yolk and reduce the heat and let simmer for about 2-3 minutes. 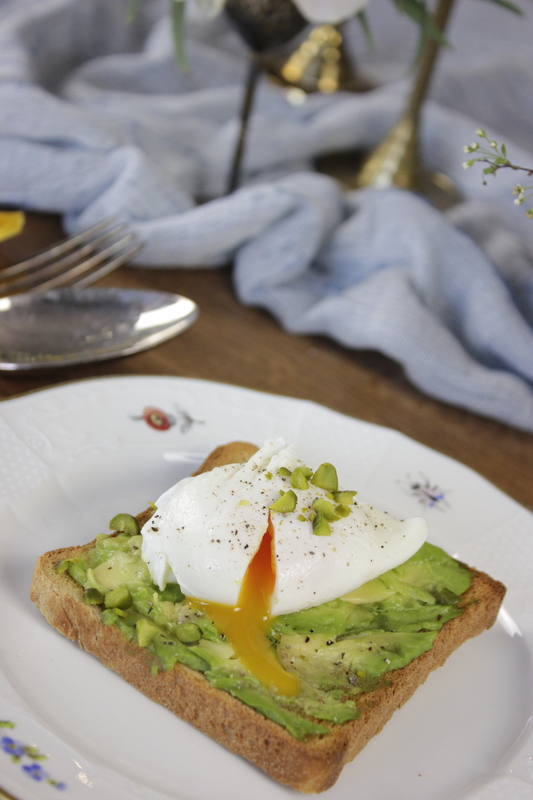 Cover the toast with avocado, place the poached egg and sprinkle some pistachio on top. Once you are about to serve the toast, cut open the poached egg. Hummus, olive oil and sambal oelek a super easy one to prepare in 2 minutes in case you buy the hummus. In case you have some time I would recommend to make the hummus from scratch. All you need is chickpeas, sesame oil, salt, pepper and a blender. Spread the hummus over the toast, carve a line and fill with sambal oelek and olive oil. For that toast you only need three things: a beefsteak tomato, an avocado and some basil. 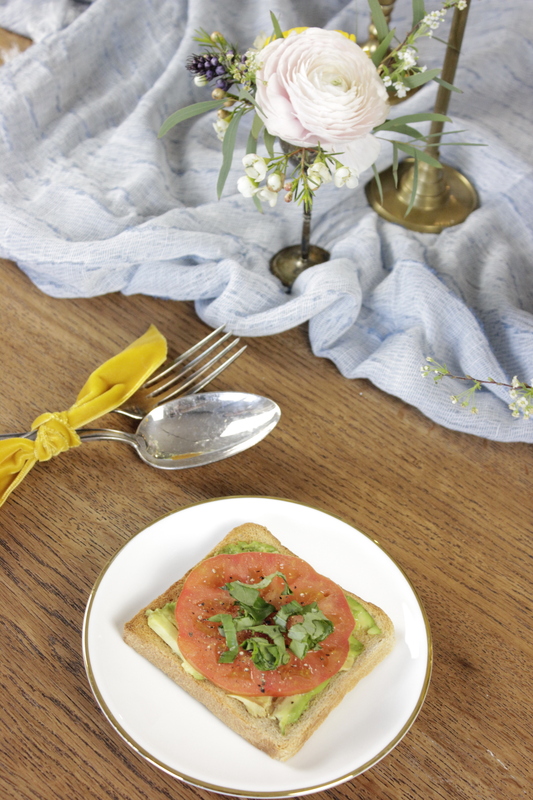 Spread some avocado on the toast and chop the tomato into thin slices and place it in the middle of the toast, lastly cut some basil and sprinkle on top. And now, last but not least but for sure the simplest toast of all of them is the avocado toast. 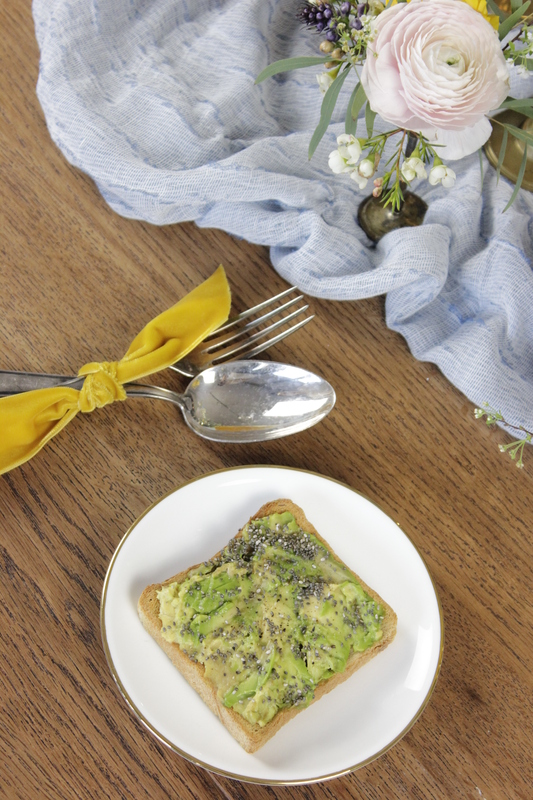 Spread some avocado on a toast and sprinkle some chia seeds on top. There are many ways to display the starter and we wanna share two ways with you. 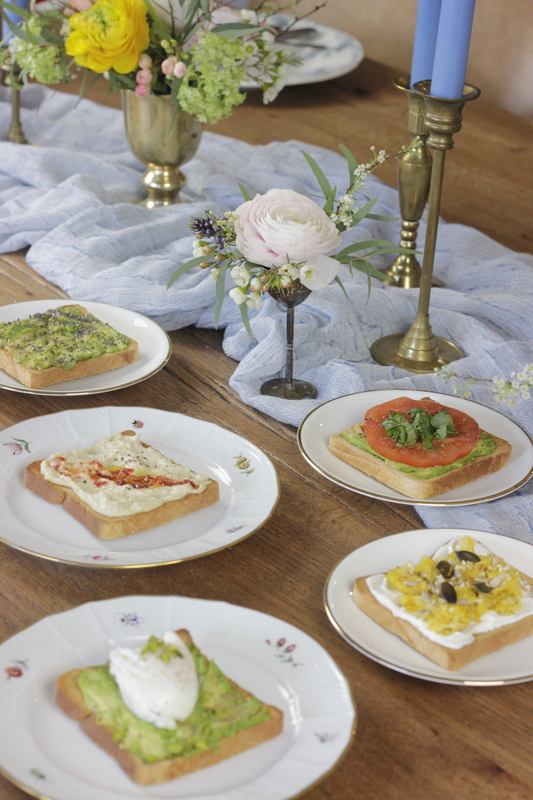 One is to individually place each toast on a separate plate or to place four different toasts on one plate. And these were our starters, super easy and delicious. And now I hope you are curious to see what we have prepared for the main dish. 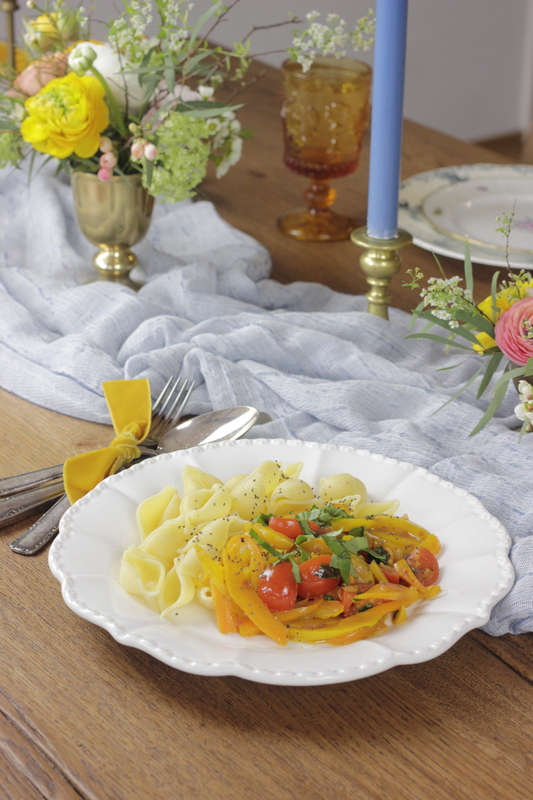 An al dente pasta topped with some colorful vegetables. 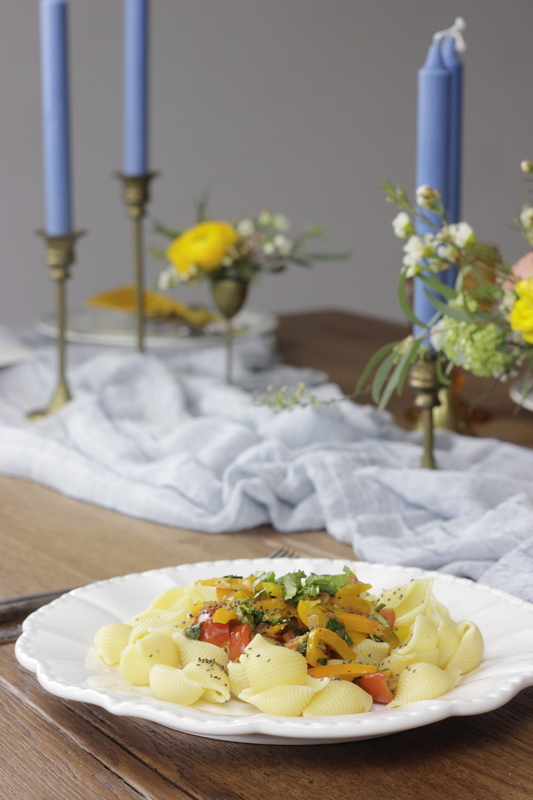 All you need for this main course is any kind of pasta, onions, garlic, olive oil, yellow/red/orange bell peppers, cherry tomatoes, basil and chia seeds. Now lets see how to make the colorful vegetable sauce. Take a frying pan and heat some oil and add the chopped garlic and onions. Slice the bell peppers and cut the cherry tomatoes in quarters and add to the onions and garlic. Fry for some minutes and chop some basil and that’s it. There are two ways to serve the pasta. You can either place the pasta and sauce side by side in the plate. Or you can place the sauce on top of the pasta. Dont forget to top off with basil and sprinkle some chia seeds. Now that you have had our delicious starters and a colorful pasta you should be ready for our last part of the menu: the dessert. 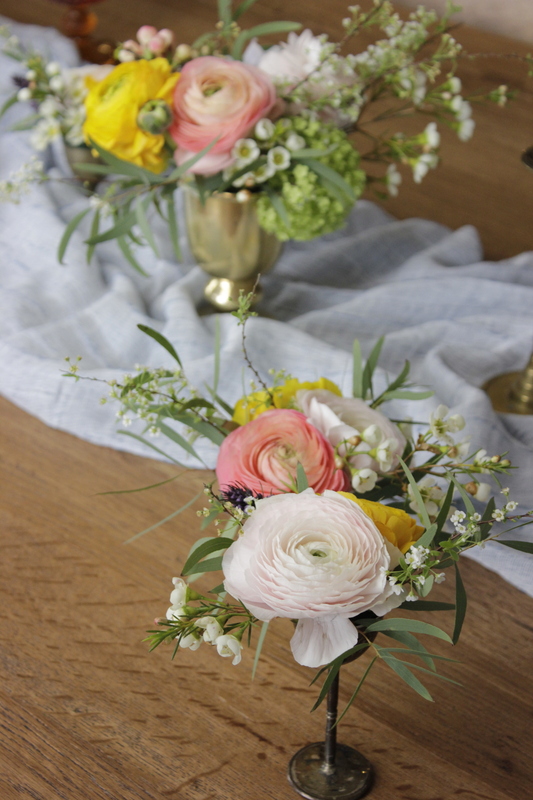 And if you have not noticed already have a look at the beautiful flower arangements by Carla. 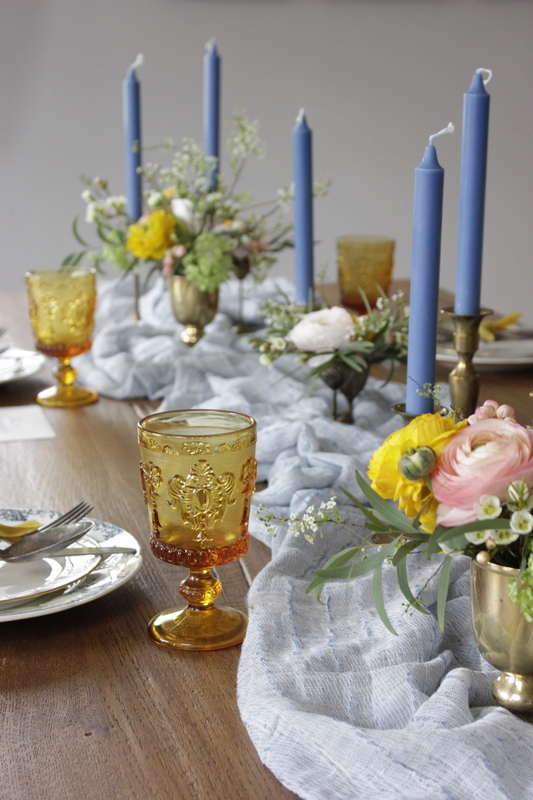 She has a special talent for decorating and I have already uploaded another blogpost where I have worked with her, have a look here. Carla did such a wonderful job with the table decoration. 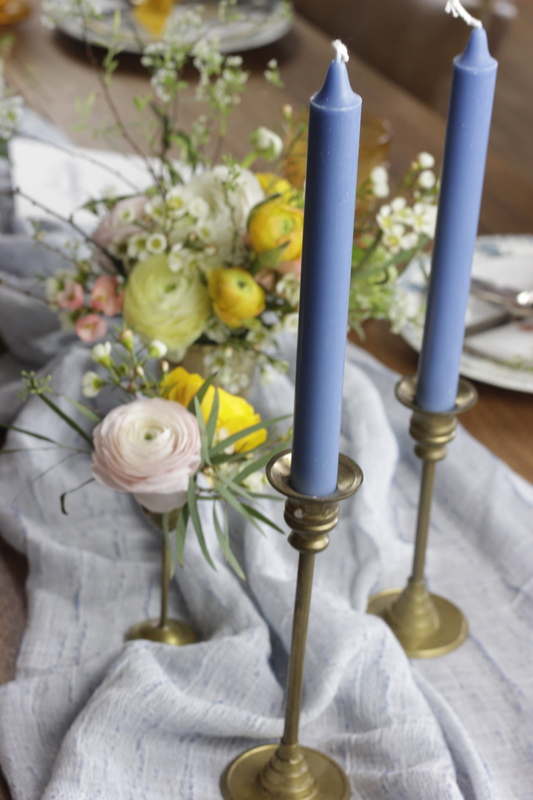 She found all these colorful flowers and placed them on a light blue drapped table cloth. 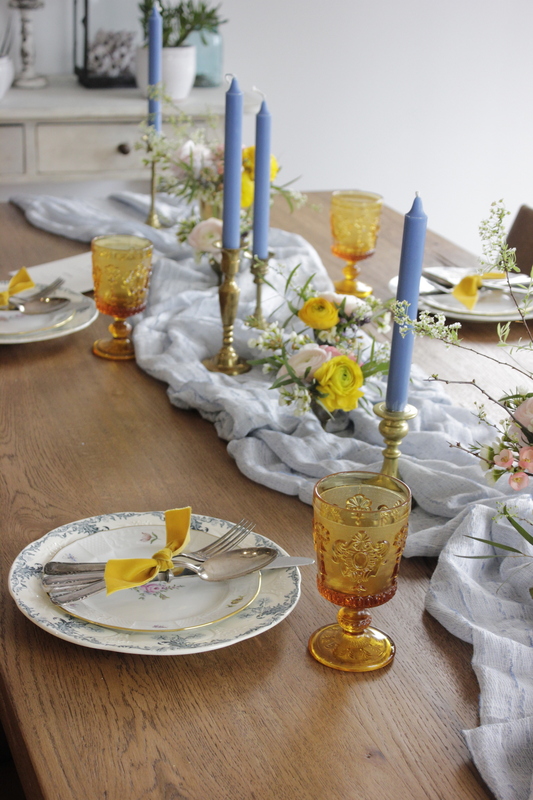 Matching candles and vintage plates and glasses round up the decoration. 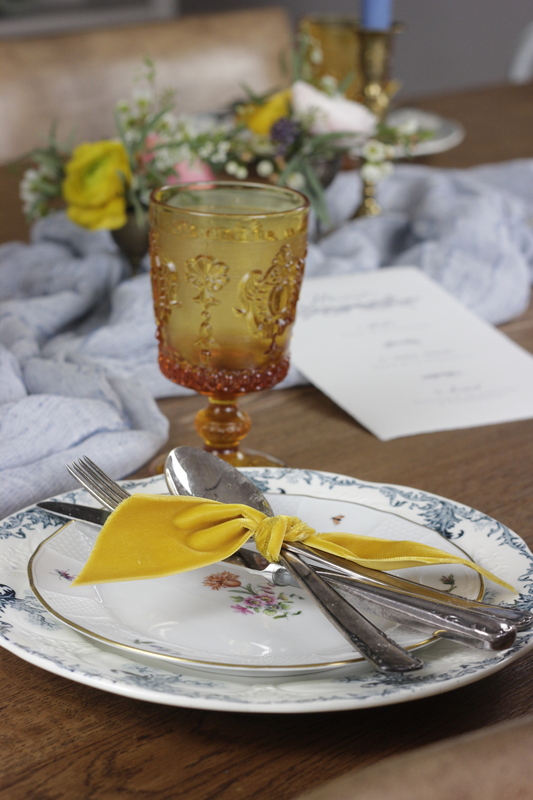 A special twist is given by the orange velvet band that ties together the silverware. 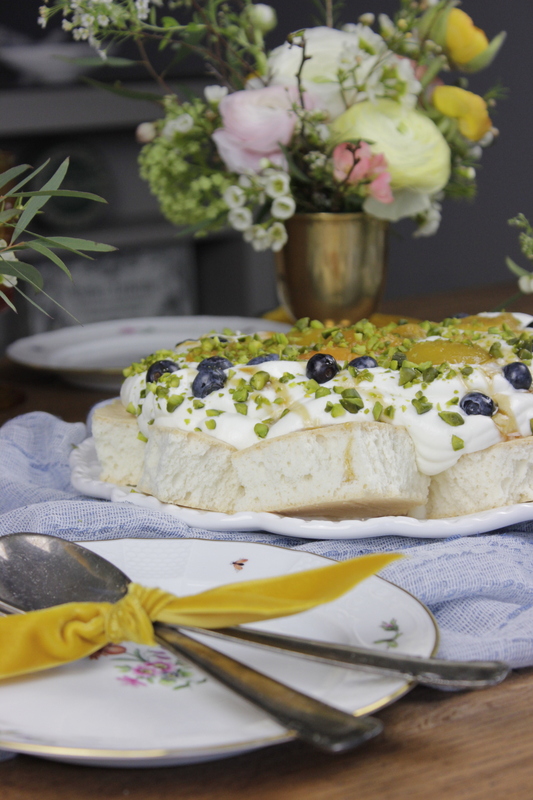 I got the recipe for our PAVLOVA via this site and absolutely love the easy 7 steps. 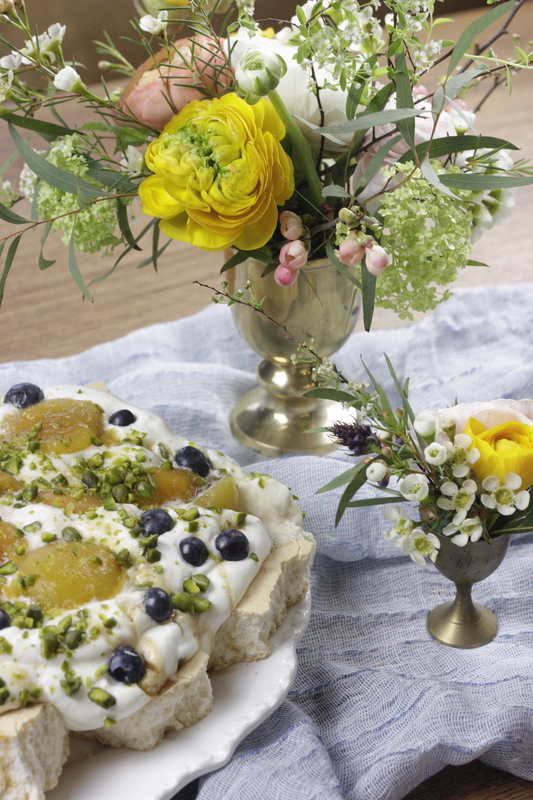 Instead of berries and passionfruit we are using apricots, pistachio and blueberries. Preheat oven to 200C. Line baking tray with baking paper. Draw 22cm diameter circle and lightly dust the marked circle with flour. Make sure mixing bowl and beater are completely grease-free. Beat egg whites till soft peaks form. Add 6 tsp of the prepared sugar and beat till sugar dissolves. Add vinegar and half of remaining sugar, and continue beating till mixture becomes really stiff and glossy. Mix cornflour with remaining sugar, and gently fold this into mixture. Using a clean spoon, gently pile mixture onto circle on baking paper, and use a clean butter knife to “pull up” sides and make peaks on top. Pop tray into middle rack of oven. Reduce heat to 125C and bake for 90 minutes. Turn off oven. Prop oven door open with wooden spoon and allow pavlova to cool completely. This usually takes 3 hours. Once cool, carefully remove baking paper, and transfer to serving platter. 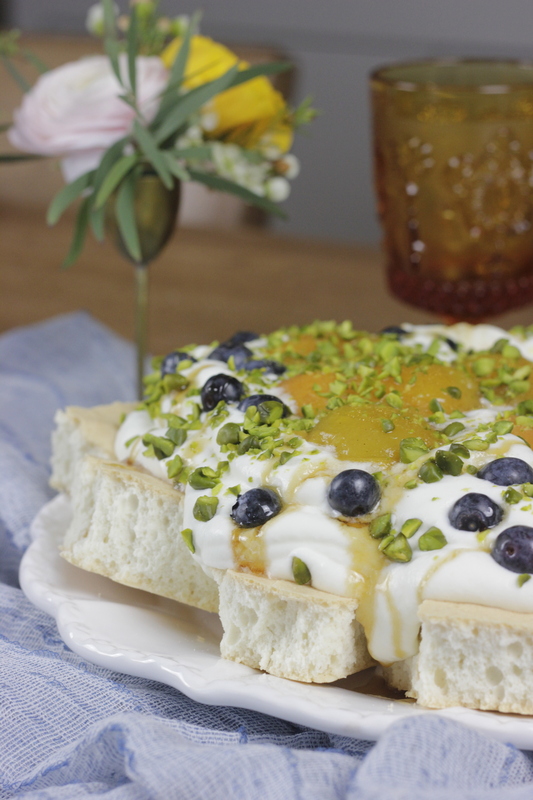 Just before serving, spread whipped cream on pavlova, arrange the blueberries and apricots on the cream and drizzle with pistachio. Awww, I had so much fun putting together this blog post. 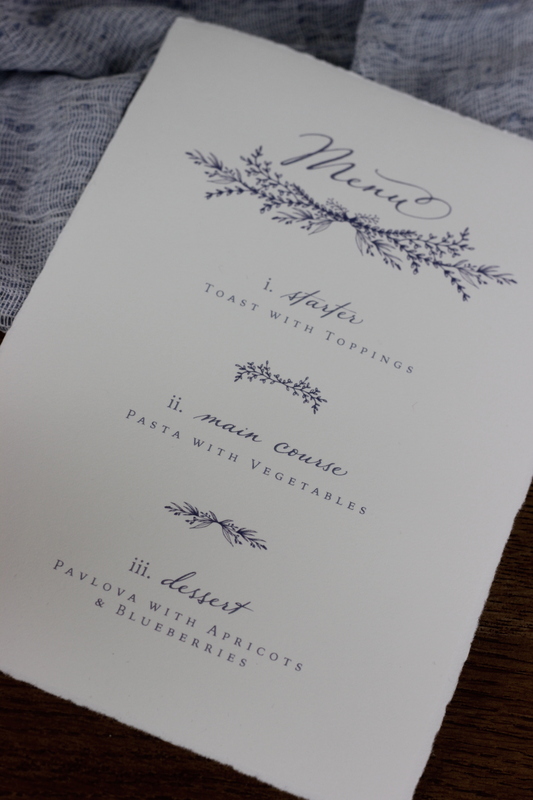 It was a huge pleasure to work with Carla and hope that you all like the menu and decoration. Please leave a comment below and let us know what you think.